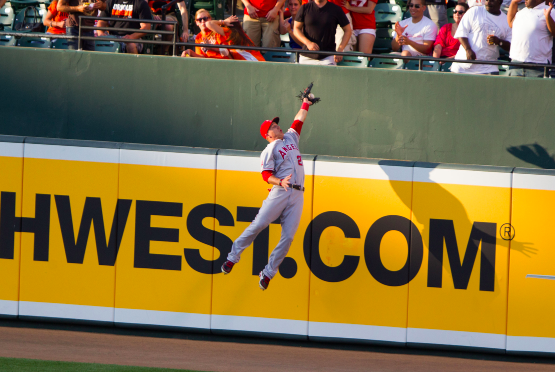 The man flying through the air above is Mike Trout. He’s widely regarded as the world’s best active baseball player — he’s only in his seventh full season, yet he’s about to play in his seventh consecutive All-Star Game, has two league MVP awards already, and has been the runner-up three other times. Trout is on track to be one of the all-time greats. His career arc earns him a mention with names that even non-baseball fans recognize — “The Splendid Splinter,” Ted Williams; “The Say Hey Kid,” Willie Mays; “Hammerin'” Hank Aaron, and yes, even George Herman “Babe” Ruth. And like them, he needs a nickname. 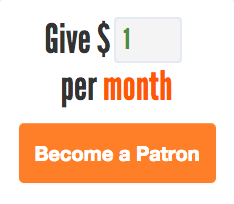 Or, needed one. Here’s one of his 2018 baseball cards, front and back. 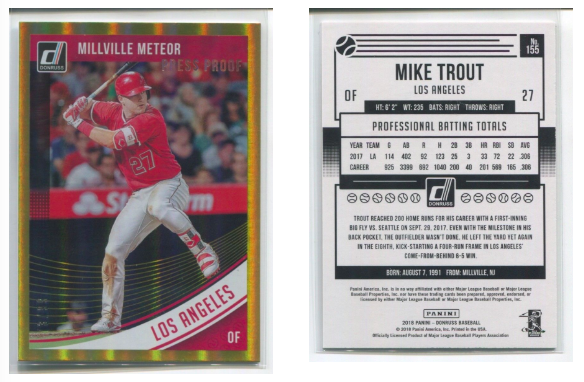 There is it, at the top of the front of the card — he’s the “Millville Meteor.” If you look closely toward the bottom of the back of the card — it’s the white-on-black text about a fifth of the way up — you’ll see that Trout is from Millville, New Jersey. That’s what his nickname is a reference to, but it doesn’t explain how he got it. As it turns out, it’s Wikipedia’s fault. Trout’s rookie year was 2012, and he was phenomenal, even by non-rookie standards, and became the topic of baseball conversations across the country. That included the forums of long-time web forum SomethingAwful, a self-described comedy website, but perhaps more accurately a place where Internet culture is born. As June approached and Trout’s exceptional stats looked less and less like a mirage, his legend grew, and many on SomethingAwful began to wonder if Trout’s superlative season was just the tip of the iceberg. But not everyone was convinced. On June 24th, a forum member with the username “Weed Mouse” commented, snarkily, that if Trout got any better, he’d have a career like Mickey Mantle’s. To drive the point home, Weed Mouse decided to give Trout a Mantle-like nickname. Mantle was sometimes called the “Commerce Comet,” an alliterative reference to his hometown of Commerce, Oklahoma. Weed Mouse decided to call Trout the Millville Meteor. Others on the SomethingAwful forums decided to turn Weed Mouse’s joke into a bigger prank by immortalizing it. Their strategy? Edit Trout’s Wikipedia entry to note that the ballplayer’s nickname was, indeed, the Millville Meteor. They probably expected this wiki-vandalism to be short-lived, but per ESPN, they took some countermeasures, adding citations which “use legitimate-looking links that don’t actually reference the nickname (which, after all, hadn’t existed before that day).” Wikipedia’s editors don’t immediately delete the fake nickname and, again per ESPN, “within days, journalists and bloggers start picking up the name and using it in their articles.” By July 18th, ESPN itself called Trout by the Millville Meteor nickname on its flagship show, SportsCenter. Despite the fact that no one — some guy named Weed Mouse excepted — had ever called Trout by the name, the prank entry on Wikipedia had convinced the world otherwise. And Trout decided that was good enough for him. He adopted the moniker, even occasionally adding it to baseballs he’d sign for fans. Today, his Wikipedia entry states that “Trout is nicknamed ‘The Millville Meteor.” Originally, that sentence was a joke. Now, it’s accurate. Bonus fact: In 1994, a Californian teenager named Peter Eastman III celebrated his high school graduating by picking a new name, choosing “Trout Fishing in America,” according to The Oregonian. (The choice was lightly inspired by a novel of the same name.) Eastman was hoping to differentiate himself from his father and grandfather — he told the Oregonian that it was his way of saying “I’m my own person.” It didn’t work, though. At around the same time, NPR reported that a couple had a baby and decided to name the child “Justin Cody Trout Fishing in America Rodgers.” While it’s unclear if the man born Peter Eastman still goes by Trout, the other one still does. As he notes on his website (about his “natural therapeutics” service), Trout is his real (first) name. From the Archives: Major League Baseball’s Dirty Little Secret: Mike Trout may not be the most important thing, baseball-wise, to come out of New Jersey.